Any new developments with radiators? These are all aluminum, and available for around $300 or so. Then there is the Stealth Conversions option. 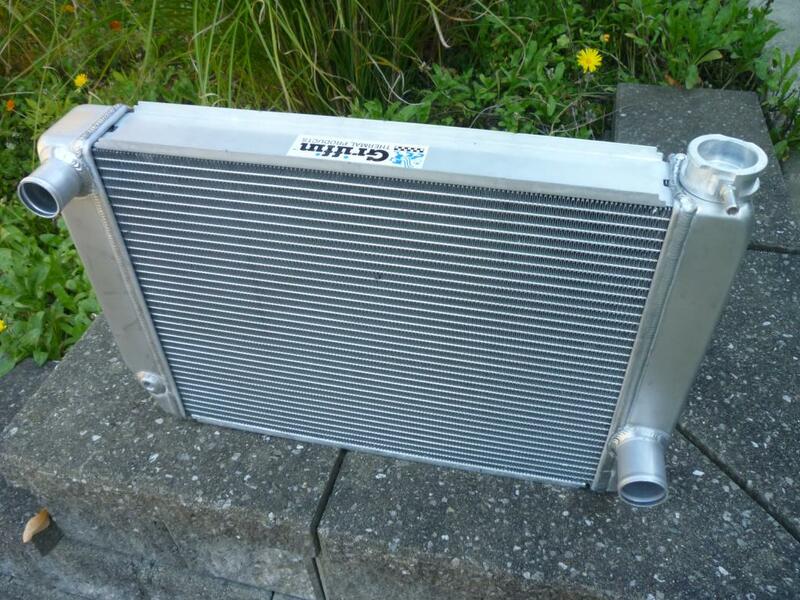 They discourage using all aluminum radiators outside of race car applications. What are you folks who are running greater than 300 hp using or wanting to use when you get around to your next upgrade? I had a custom Visteon radiator build. Double pass cross flow with a Niagra. Heat exchanger for oil cooling. Aluminum radiator are fin in street cars. My mustang has a Mishimoto Aluminum rad in it for over 3 years. Car is driven to and from the track. Makes 521 HP. Not one issue since install. Is http://www.vistaproauto.com the place? Have any build spec details? I use a Griffen double pass. It was from some Ford app that had the right width. I used aluminum tubing and silicone connectors from Silicon Intake Systems to custom plumb it. Yes, that's the place. I think I have the drawings/specs in a box in storage. I know it cost me about $1,200. Well, that's going to be too much I think. I have a tally on the new engine and new safety equipment that is already around $15k, and I'm sure there are some less expensive options in this case that will work. Thanks for the info though. The weld cracking issue that they mention is likely due to trying to bolt the rad to the rad support. They don't generally like being subjected to stresses from the body twisting. The workaround isn't that hard - either fab a cradle to hold it or use rubber islolators. If you can dig up or recall any further which Ford, let me know. I will certainly will look into that. Here's a Griffin (made in S. Carolina) I just got from Summit ( part #1-55201-xs ). It's a 2 row with 1-1/4" tubes, and measures 15-1/2" X 24", just about perfect for an S30! A 14" Spal (puller) electric fan fits the rad just right. PM me if you go the Spal route, I found a really good source! I'm replacing my JTR (Stealth Conversions) rad, it's barely adequate for my stock LS2. Arizona Z Cars radiator working good at 300hp. Bolts in. Beautiful radiator Zzeal. Thanks for posting. How did you mount the Griffin? My taurus fan caught fire and destroyed my JTR radiator and mount! core support at top. BTW, the dry rad weighs 11 lbs., the Spal is 6, and the mount 2.